We are delighted to announce the appointment of Brian Weekes as National Director for The Boys’ Brigade and Girls’ Association in the Republic of Ireland. Brian has a wealth of experience working in the BB. Brian joined the Junior Section of the 29th Dublin Company, in 1967 where he continued as a member and Leader for almost 30 years. 1984 Qualified as a Brigade Training Officer in Carronvale and elected Training Director for Republic of Ireland District. Brian takes up post with a strong “BB pedigree” as well as extensive experience in the business world. We all wish Brian the very best in his new role within our organisation. Brian replaces Philip Daley who has been our National Director for the last 10 years. 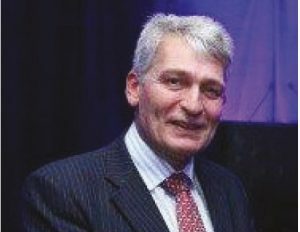 Philip has been appointed Grand Secretary/Chief Executive of the Grand Lodge of Freemasons of Ireland. We wish Philp every success in his new role and we are delighted that he will be remaining within the BB family as a volunteer.